The Boston Red Sox may be starting this season as the two-time defending American League East champions but that didn't stop their long-standing rivalry with the Yankees from being reignited after a hit-by-pitch led to an all out brawl in a recent game. There's nothing like the Yankees to bring out the Bostonian fighting spirit! If you don't want to miss out on any other pitch, home run or punch this season, then it is possible to live stream every minute of every ball game. This season will be one to watch for sure but Red Sox fans know that it can be difficult to keep up will all the action in Fenway Park thanks to network restrictions and the high cost of a premium cable TV subscription. With this guide we'll show you how to watch every Boston Red Sox game this season from anywhere in the world. 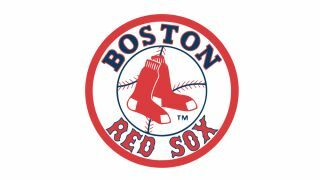 If you live in Boston and don't want to pay for local cable television just to watch some baseball, catching the Red Sox live is made very difficult for you. Because the MLB agrees exclusive rights for those stations, MLB.TV can't broadcast as the action happens. You have to settle to watch the game 90 minutes after it ends. But using a VPN is a handy -and legal - way around this. Once you've signed up to an MLB subscription, grab one of our recommended VPNs and log in. Then use a server in another state and watch those Red Sox try and defend the top spot in the American League East. But remember that the same applies if you're trying to watch the Red Sox within Boston or are trying to watch a blackout game - you'll need a VPN to do so, so check out how to do that above. Following in Facebook's footsteps, Twitter has the right to live stream an MLB game every week during the regular season. Again, these will be on weekday afternoons. You can check out the all the upcoming games at live.twitter.com/MLB. When it comes to MLB, ESPN+ is featuring one MLB game each day, seven days per week throughout the MLB regular season. That means it won't be the most comprehensive option for Red Sox fanatics. But if you’re interested in following the MLB as a whole and want to catch up with other big games, than this service could be a good fit.